With Lake Superior to the north and Lake Michigan to the east, Wisconsin has quite a diverse geography. It sits within the Midwest and Great Lakes regions and is home to forests, hills, farmland and cities. The state’s largest inland lake, Lake Winnebago is known to be one of the best places in North America to fish for sturgeon. It also has a large population of walleye, northern pike and perch. Fishing is not the only reason to visit the lake. The 55,700 hectare lake is also home to picnic tables, gazebos, boat launch ramps and a small amusement park. High Cliff State Park sits along the northeast shore of Lake Winnebago and offers camping, hiking and picnic areas. It even boasts a public beach! The largest lake on the Mississippi River, Lake Pepin sits right at the border of Wisconsin and neighbouring Minnesota. The lake is known as the birthplace of water skiing, as local Ralph Samuelson invented the sport here in 1922. Another interesting thing about Lake Pepin is that it is home to the only working lighthouse on the entire Mississippi. The lighthouse sits at Lake City Marina on the Minnesota side. In addition to water skiing, fishing is popularly enjoyed at the lake. Walleye, yellow perch, largemouth bass and sauger are some of the fish that are caught most by angers. 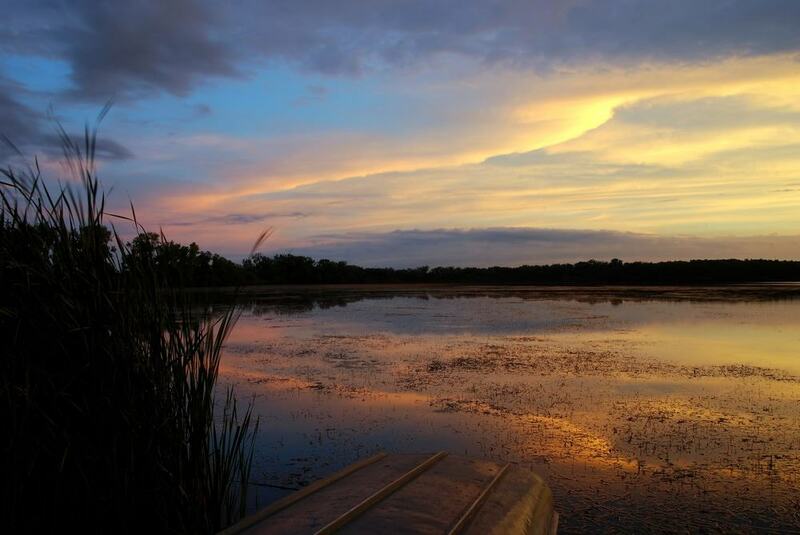 At 9,300 hectare, Petenwell Lake is Wisconsin’s second largest lake. It was built in 1948 with the construction of a hydraulic dam, but today it is also used for recreational activities. Sailing, water skiing and fishing are popular activities that are enjoyed on the lake. It is also a great place to spot bald eagles. There is not a lot of development around Petenwell Lake, with most of its shoreline being undeveloped forest. There are recreational parks along both sides of the lake, while a campground can be found on the west shoreline. 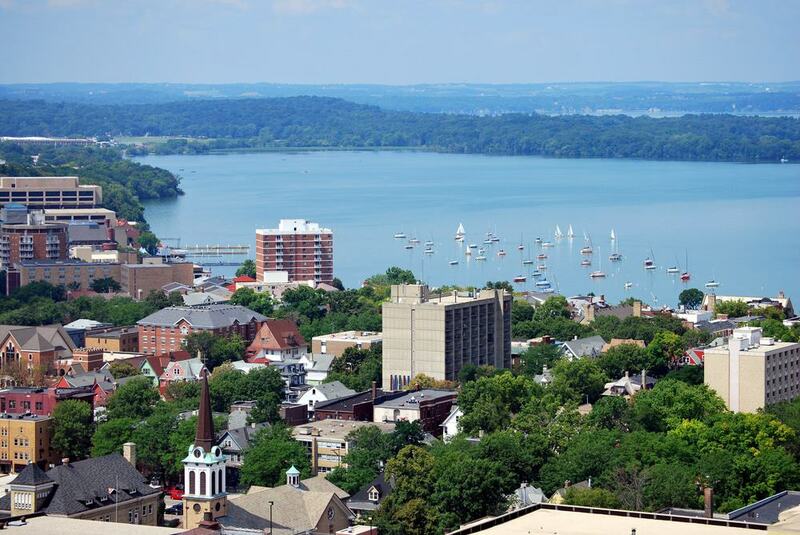 The city of Madison sits on the very south side of Lake Mendota, with the shoreline in the city being dotted with expensive condominiums and homes. Still, one of the lake’s main features are its five beaches, three of which have lifeguards. Lake visitors can easily access it from one of its public boat landings. Because of this, fishing is quite popular, with musky, largemouth bass, panfish and northern pike being in abundance. The Governor Nelson State Park sits on the northwest shoreline of the lake. Here, visitors will find picnic areas, a playground and nearly 13 kilometres of trails. One of the five Great Lakes, it is impossible not to mention Lake Michigan when talking about fantastic lakes in Wisconsin. This is a massive lake, with 18 Wisconsin cities sitting along its shoreline. Lake Michigan is a major tourist attraction, with sailing, kayaking, kite surfing and diving all being offered. It is also a great place to go fishing. There are also a number of spectacular beaches along the shores of the lake, including North beach, Schoolhouse Beach and the beach at Point Beach State Forest. 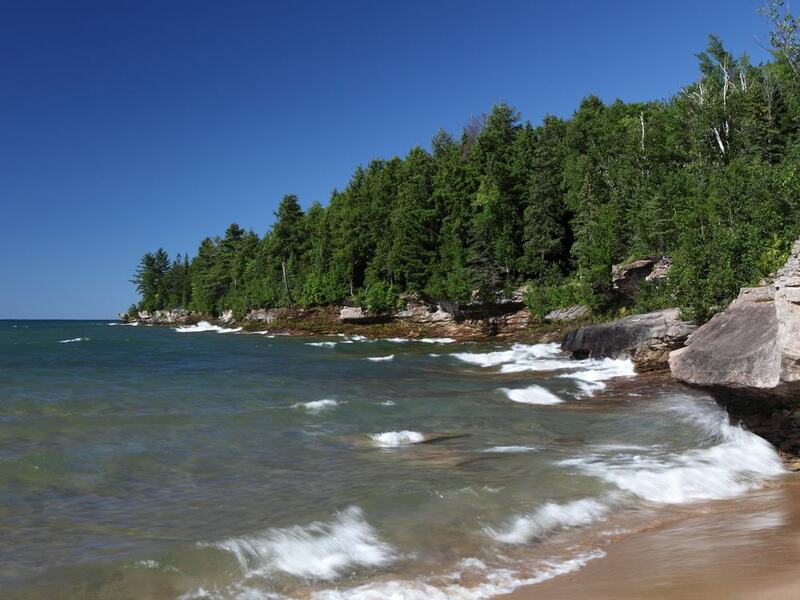 Also along the shores are the magnificent Kohler-Andrae State Park and Whitefish Dunes State Park. The 550 hectare Minocqua Lake sits in the ‘Lakeland’ area of northern Wisconsin. The lake is a popular destination in both the summer and the winter. 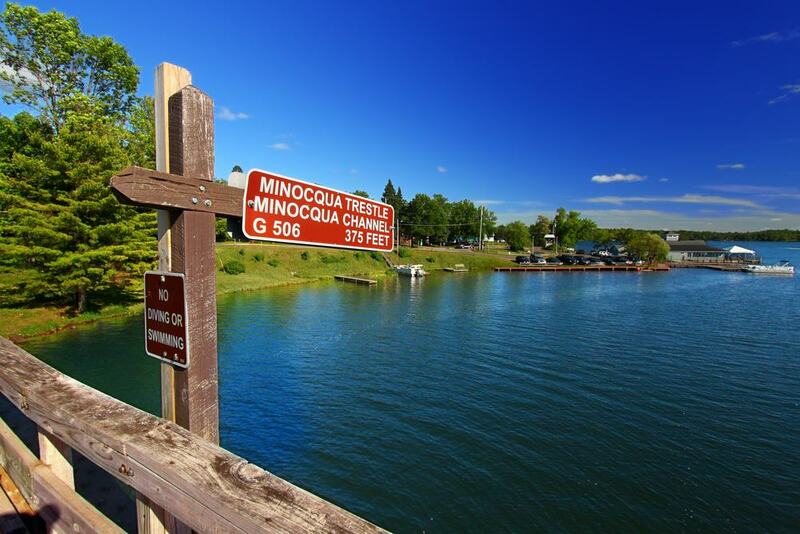 Minocqua Lake is known for its great water skiing, boating and swimming. Anglers flock here to catch panfish, musky, largemouth bass, smallmouth bass and walleye. In the winter, the lake is a good place to go snowmobiling and ice fishing. There are cabin rentals and resorts along its shoreline that are popular places to stay. Castle Rock Lake is connected to Petenwell Lake, which was also constructed when the dam was built. It is a man-made lake that has a total surface area of 6,730 hectare. 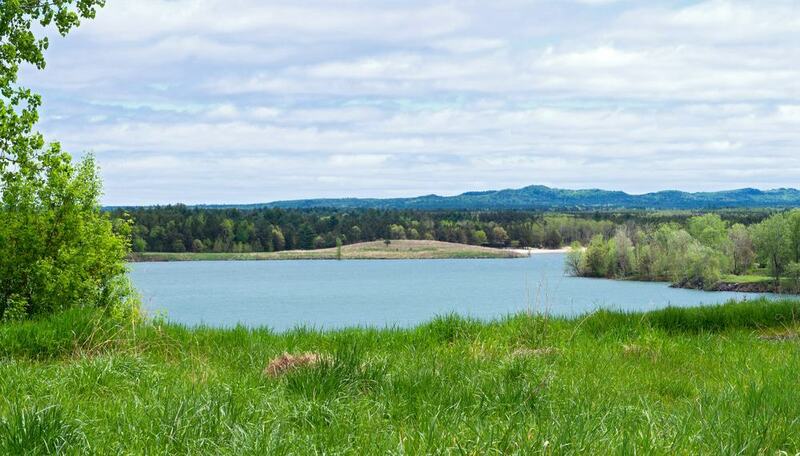 Most of the lake’s shoreline is completely undeveloped, making it a great place to enjoy fishing. White bass, white walleyes and crappies are in abundance, though there are also northern pike, panfish and bass. Water skiing is also quite popular at Castle Rock Lake, as is relaxing on one of its beaches. The lake is also home to the Buckhorn State Park. 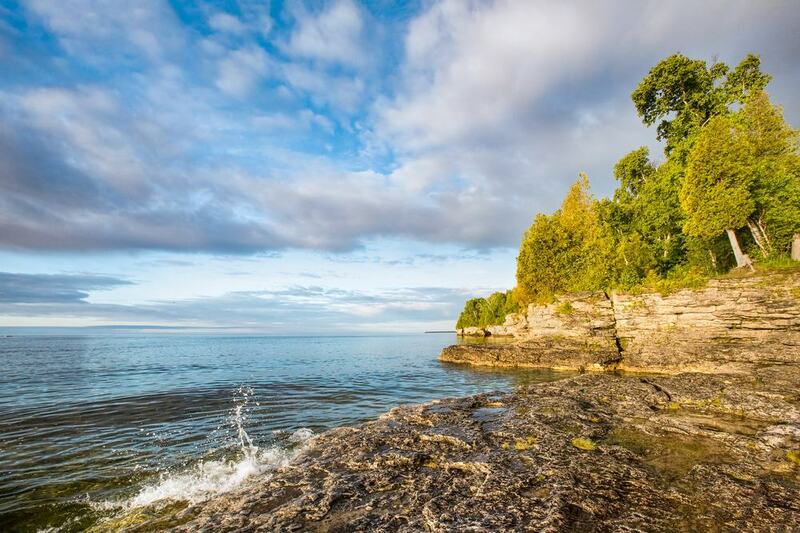 Another one of the five Great Lakes, part of the portion of Lake Superior that sits within Wisconsin is the Apostle Islands National Lakeshore. There are also a number of cities along its shoreline. 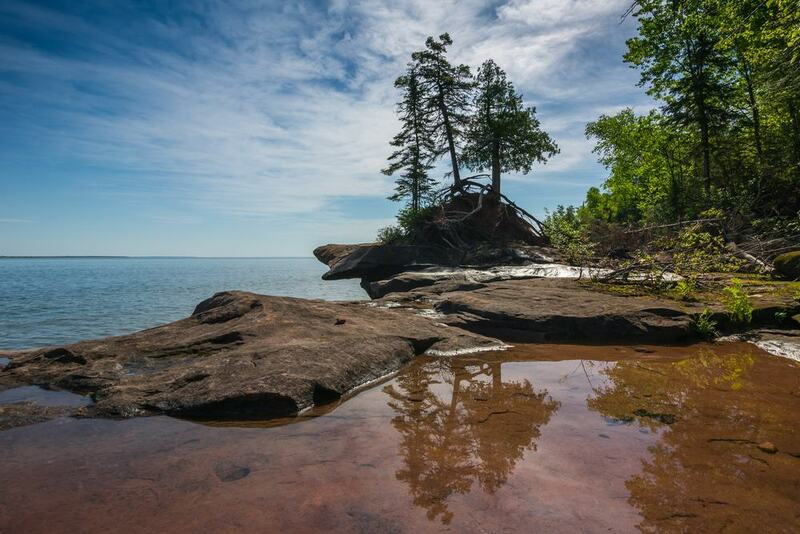 The Apostle Islands National Lakeshore is made up of 21 different islands. The 28,074 hectare area is home to lighthouses, forests, sandstone caves and numerous wildlife. Camping and hiking can be enjoyed on almost all of the islands, as can fishing and caving. There are also a number of historic sites, including the Sand Island lighthouse, Michigan Island Lighthouse and Devils Island Lighthouse. Allequash Lake sits within the Northern Highland-American Legion State Forest. The 168.4 hectare lake’s deepest point is around seven metres, making it a popular lake for fishing. There is an abundance of panfish and musky, while largemouth bass, northern pike and walleye are common. Those that prefer not to fish can go hiking in the forest. There are camping grounds within the forest that are great for anyone that wants to sleep under the stars. Visit in the winter and enjoy snowshoeing or cross-country skiing. Lake Wingra is a small, but beautiful lake that is located within the city of Madison. The University of Wisconsin–Madison Arboretum sits on the south and west side of the lake’s shoreline. Lake Wingra is an important fishery, known particularly for its large muskellunge. There are also plenty of panfish, northern pike and largemouth bass. Vilas Park Beach sits along the north side of the lake, as does Henry Vilas Zoo and Wingra Park. All-in-all, it is a lovely place to spend an afternoon. 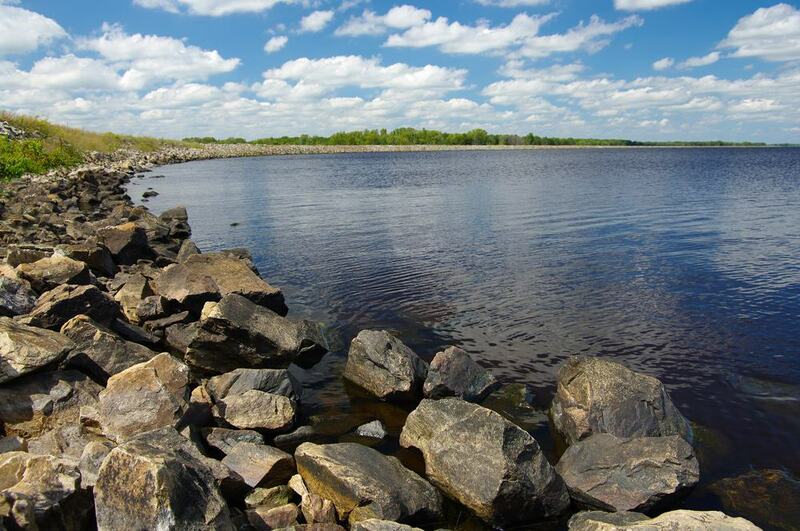 Also known as Chippewa Flowage, the 6,191 hectare lake is highly regarded for its spectacular natural scenery. 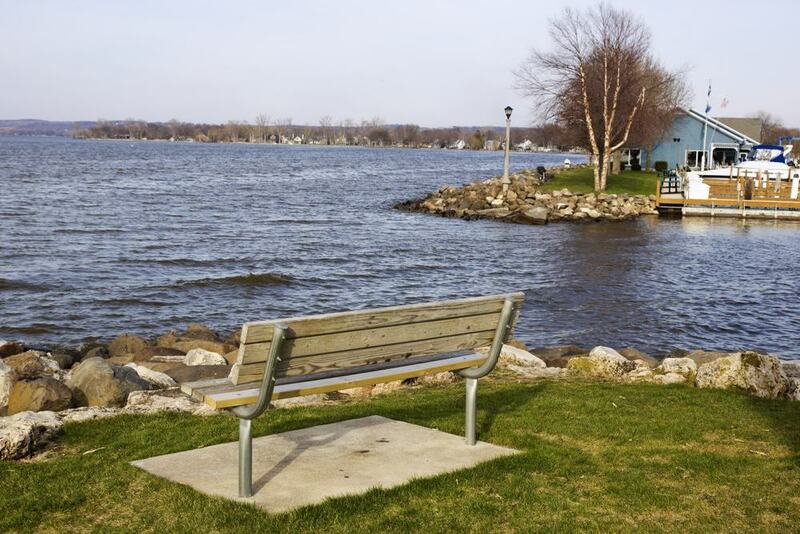 Lake Chippewa is an artificial lake that was first filled in 1924. Lake Chippewa is the third largest lake in the state. Its shoreline is dotted with undeveloped islands that help to create the magnificent scenery that it is known for. 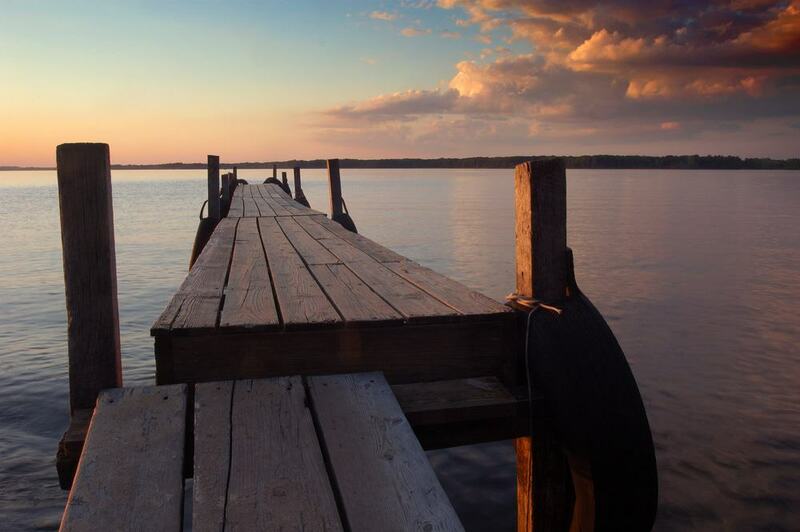 The lake is also known for its fabulous fishing, providing some of the finest walleye fishing in the entire state! It is also a great place to go bird watching, hiking, camping, canoeing and cross-country skiing. 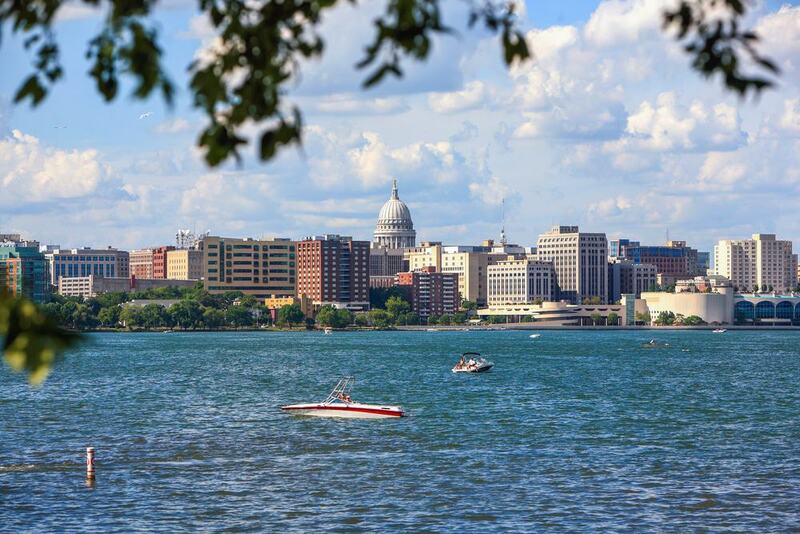 Also situated in the city of Madison, Lake Monona is the second-largest lake along the Yahara River. The lake is over 1,300 hectare and boasts seven beaches. There are five boat ramps along the shore of the lake, as well as a few ski jumps that are used for ski shows. Those that like to fish will be able to launch a boat and fish for panfish, sturgeon, largemouth bass and northern pike. An interesting fact about the lake is that Otis Redding died here when his plane crashed into it in 1967. The sole-survivor of the crash was trumpeter Ben Cauley. The 5,237 hectare Turtle-Flambeau Flowage is a major summer tourist destination. 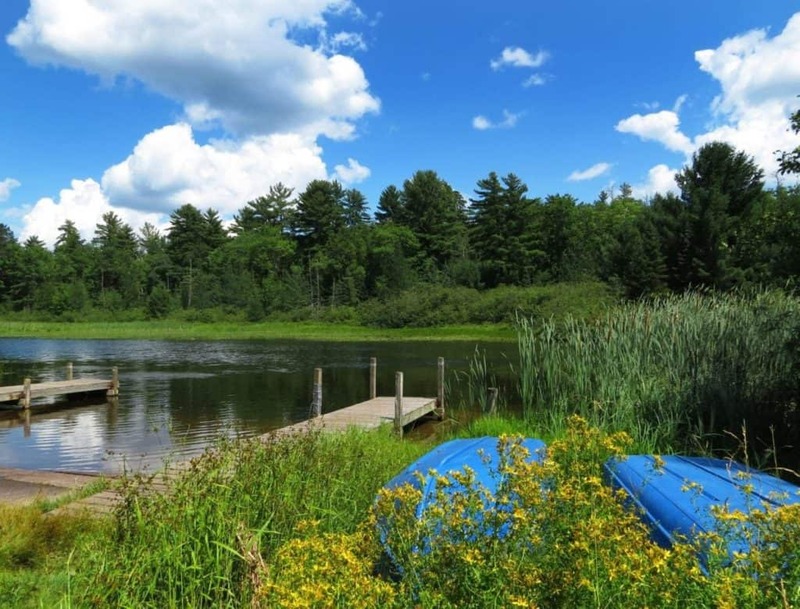 The lake is home to four boat landings, as well as 60 campsites and a few lakeside resorts. Canoeing, kayaking, sailing and swimming are a few things that visitors do at the lake. It is also a popular spot for fishing and hunting. Visit Turtle-Flambeau Flowage in the winter and go snowmobiling, or enjoy snowshoeing or cross-country skiing along one of its trails. The trails are also popular in the warmer months for hiking, mountain biking and wildlife viewing. This large lake sits in northwest Wisconsin, with part of it being within the Lac Courte Oreilles Indian Reservation. The lake is over 2,000 hectares and is home to many bays and peninsulas. Lac Courte Oreilles is a freshwater lake that has an abundance of northern pike, walleye, musky and bass. Because of this, fishing is popularly enjoyed amongst tourists and locals. The shoreline of the lake is home to a number of resorts and cabins owned by residents of Minneapolis-St. Paul and Milwaukee, as well as nearby Chicago. Built on a former iron mine quarry, Wazee Lake is the deepest lake in the state. The man-made lake is home to the Wazee Lake Recreation Area, which is a prime scuba diving destination. Fishing is also popular, with the lake being home to trout, bluegills, catfish, walleye and smallmouth bass. There is one boat landing that can be used to go fishing or just to boat around the lake and enjoy the scenery. There is a beach along the shores of Wazee Lake, as well as 12 campsites, picnic areas and numerous scenic vistas. Surrounding the lake are over 14 kilometres of hiking trails and nearly five kilometres of bike paths.